point, click - lens cap! bonjour! camp orders are still my main focus this week. pretty soon we'll be packing trunks here, too. but first, one lucky girlie got to go off on a school trip to france. as we finished packing her up the night before she left, i realized i'd wanted to get a lens cap keeper for her camera, but forgot all about it. mine are so handy, but my lenses are bigger, so i couldn't borrow one from my camera easily. because she's my kid, she said, why don't you make one? duh! one of the best side effects of paper crafting and supply hoarding is having a variety of materials at my disposal for just such problem solving. so, between the two of us, we figured it out. we gathered an emmy jay, some cotton cording, a pop dot, washi tape on cardstock, and a half inch circle punch. 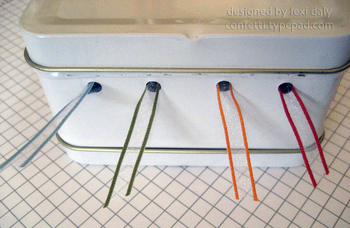 tie, cut, stick, stick, and voilà! not just any lens cap keeper - a cool, colorful diy lens cap keeper! and with that, she was ready to go. i've even seen it put to good use in a few pictures she's sent. i may not get to be in france with her (quel dommage! ), but i will definitely replace my stretched out cap keeper with one of these super cute, fancy diy ones, and be just as cool as she is! last week was the second week of summer for us, our favorite time to hit the beach! watercolor and seaside were never better. the forecast on my phone when we got there (i don't like to check it before since you can't do anything about it!) was solid thunderstorms, but after one day of heavy rain, it changed and we had sunny blue skies for the rest of the week. the thunderstorm symbol did pop up again on friday, but it was only 30% and never actually came our way. i'm so glad i remembered to take my phone in to the apple store before we left. the camera had suddenly stopped focusing a couple of months ago and they had to swap it out. i take my big camera everywhere, but i love the convenience of my phone. and all the fun apps! i ended up spending most of my time planted comfortably in my beach chair, so most of my pics are from that perspective. but i added the #abeautifulmess app to my line up and had tons of fun with it. quick and easy frames, text, and doodles. love! the teen didn't appreciate me "blowing up her instagram feed" but that's just too bad. when i'm on vacation, taking pics is what i do!! so yesterday was too dark and today may have been too bright. but i'm really excited to have a very clean room to create in this week. i don't mind when it gets messy, because that just means i'm busy with lots of projects, but i love that it's so clean for a few minutes at least! the room is long and narrow as you can tell from the first two pics--the first looking in from the front hall, the second looking back. i hesitated about having the shelves built on the door wall, but i'm so glad i did--it helped to get a lot of stuff off the floor! these three pics are my desk zone. i can open various drawers on the cabinets on each side and below the desk while i work and have most of what i need at my fingertips! these were the majority of the ikea pieces i put together, pictured in the "before" picture. 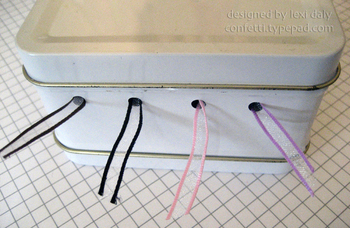 i highly recommend the alex on the left--it's sturdy enough to hold heavy paper punches. and the helmer times four on the right--perfectly sized drawers for all of my small supplies and embellishments, as well as stacks of paper, too. i reviewed them both for craft critique when i first put them together--you can read my article for a more in depth description and pictures of them open. although the drawers have even more stuff in them now! when our local scrap store closed down, i purchased one of their displays on a whim. it was right after i'd planned the furniture in the room and i wasn't sure how it would work, but it has been a great piece to have--except that it's already overflowing with stamps! i love having so many in full view, especially when i get stuck for an idea. it's not uncommon to find me standing in front of it staring, searching for the perfect stamp! there are more stamps & stampables tucked away in the cube ottomans and canvas baskets tucked underneath the roll top desk. the counter cabinet pictured on the right is the only piece that was in my studio at the old house, serving the same purpose as it did there--lots of storage and great counter space. it's the perfect height for standing and cutting. the pictures above were a fun project from last week--full size prints of the blythe magazine spoofs i make. i have a year's worth of two magazines now, plus a couple of special issues. it's fun to have them on display and not just in two inch minis! my sewing cabinet is a computer hutch from ikea, one of the more difficult pieces to put together. it basically chose me, because of size, function, and color. yet another piece that i wasn't sure about, but it's been perfect for sewing and the drawers are huge, holding things from envelopes & cards, to bags & wrapping supplies. i think i was worried that it was too plain, but it blends in nicely under the shelves i had built and it's really sturdy. the top is perfect for displaying the doll collection, too. the ottoman (also ikea) is actually a storage piece as well, filled to the brim with fabric scraps from the girls' costumes and other sewing projects. the stamp shelf is across from it, so it's another great place to sit and stare when i'm looking for ideas! flashback friday :: i love ikea! we moved into our current house two years ago, right before camp time, and one of my biggest projects while mignon was away that year was to put together my new studio furniture from ikea. while the room looked fairly put together immediately and has been easy to work in, it took me a while to figure out what to do about shelving and a few other details. it's been a slow process, but after a couple more little projects over the last few days (it's so much easier with a quiet house! ), i finally feel like the room is finished. or more finished than not! i'm sure projects will come up and some things will change here and there, but it finally feels like it's time for some "after" pictures, which i'll share next week. but first, i thought i'd remind you of my "before." i guess it's an understatement to say that i have a lot of crafting supplies--markers, glitter, glue, glitter glue, jewels, etc. etc. i could go on forever! all of those supplies just seem to scream out to my girls. they always want to borrow this or that, sometimes to the point of extreme aggravation. and there are several things i simply won't let them touch! but how can i say no when i have just the perfect thing for a special school assignment like mignon's indian elephant above? stickles and bling were exactly what she needed, so i let her at 'em! and another quick doodle on the pen tablet! so here's my first play with my new wacom tablet. so very cool! i love being able to write and draw with a pen on a larger area instead of my finger on the trackpad. lots more control and fluid movement. i need to play with it much more and read about different ways i can use it in my design work, but i'm really excited about the possibilities. do you have one and have any tips for me? i'd love to hear them! looky what david and the girls gave me!! i love new toys (i mean tools!) and i've had my eye on this one for a while, but hadn't taken the plunge yet. can't wait to play more with it! did you get any fun new toys? a few of you asked how i carved the peep, so i took some pics tonight so i could show you. 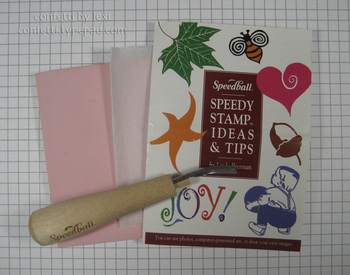 this picture shows what i used: tracing paper, speedball small v-shaped carving blade, and a speedy stamp block. all of this was in a small kit i bought a while back at michael's when my stamp club had a day devoted to carving our own stamps and it's been nice to have on hand for occasions like this. 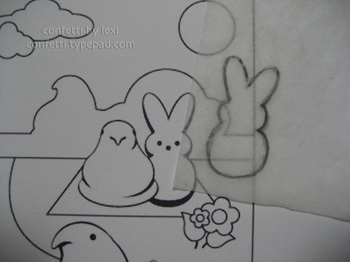 i wanted an exact image without too much effort, so instead of trying to draw it myself, i found a coloring sheet in the fan club section of the official peeps website (there's some fun stuff there--my girls loved the peepsicles recipe!!) 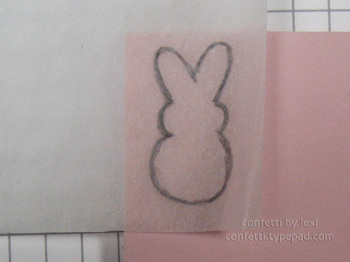 and traced over the bunny peep with the tracing paper. you could do a chick one, too if he's your fave. i placed that upside down on the carving block and traced over the back to transfer the image where i wanted it. i cut that section off of the block, leaving some space to hold it--i trimmed it more later. 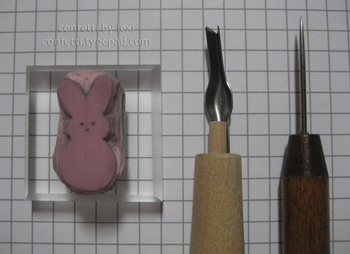 using the carving tool, i first carved around the edge of the bunny, trying to keep my strokes as long and smooth as possible. the point of the tool was especially handy for between the ears. once i had my basic shape, i carved more of the block away and smoothed any bumpy lines. during this part of the carving it's good to test stamp it periodically to make sure the image is coming out how you want it. i used my piercing tool to poke small holes for the eyes and nose. then i trimmed the edges a bit and added ez-mount to the back so i could use it on an acrylic block. and voila! a peep! the finished size of the stamp is just over an inch and it's pictured on a 1.5 inch block. i stamped it multiple times for the quick card the other day, but you could carve a row if that's how you always want it. 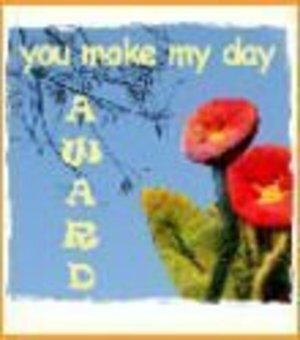 and of course, the a muse sentiment, to one of my favorite peeps, is just perfect! i have an article up at craft critique today--a review of the marvy uchida paper trimming buddy. while it is not my main trimmer, it's a pretty handy buddy to have around! 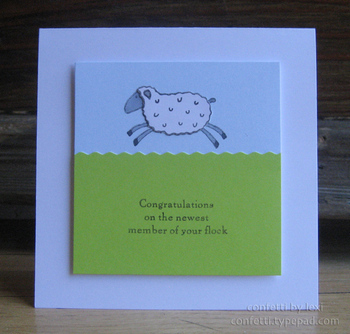 i used the pinking blade on this card to add a quick detail to the green panel on this baby card, creating a field perfect for the leaping sheep from the saltbox studio. i think it adds just enough visual interest, while still allowing the simplicity of the design to shine. need a buddy? go check it out! why didn't i buy this sooner? still organizing and today, i have a purchase! 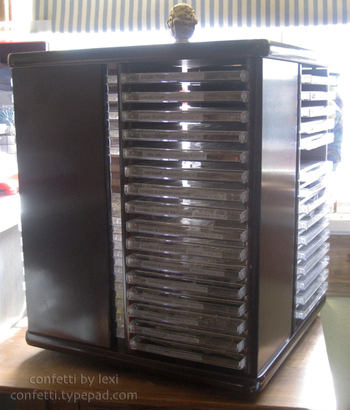 for some reason, i had resisted buying this stack & store caddy from stampin' up! 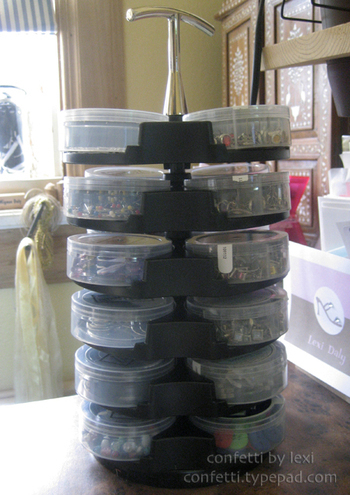 but i finally gave in and it is awesome--i had lots of random little storage pieces on and near my desk and now i've unloaded them all and then some into this wonderful, spinning embellishment hoarder's dream! now, i just need to stop hoarding and start using all my organized loot! once i get on a roll, i just can't stop! and my studio is slowly getting cleaner because of it. i say slowly because i did take a break for new years, but i'm back. and look what i found in the attic! i went up there for something else and not only did i find that (always good to actually find what your looking for! ), but i found this little bonus too. 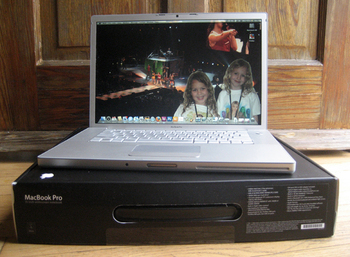 our cd collection grew out of it long ago and we eventually graduated to a binder for ease and space. so there it sat in my attic, forgotten, while i've been searching for the perfect holder for my clear stamp sets off and on for weeks! i love that i can have it close to my desk and turn it easily to find the set i'm looking for. and when i do have more stamps than slots, i can always rotate seasonal picks in one section and keep permanent favorites in the other three. i'm sure i will grow out of it soon, but it's a perfect start--and i love the price! i keep coming into my little studio and it's just too messy to create much after the last few weeks, so i figured i'd clean up a bit instead of walking back out again! i often organize by color, but i have several collections that i prefer to keep together. up until today, my a muse ribbon (love the stuff!) has been tossed into a basket near my feet along with other ribbon scraps and random extras. the other scraps went into the jars on my window sill and i reorganized the random, but i really wanted my a muse collection to be together and easy to use. 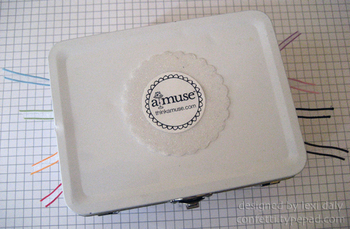 i found this little white lunch box in my stash, punched a few holes with my crop-a-dile and voila! i have extra strands of a few colors, so those are tucked into the box, too, ready to be pulled through the proper hole when the first one runs out! i used a label from one of the little ribbon bags and a glittered punch sitting on my desk to label the tin--the sheer glitter reminded me of the sheer ribbon and it was one more thing off my desk! i know this has totally been done before, but i figured it was worth a share anyway--especially for those of you who participated in rhonda's recent amuseaddicts ribbon share. now, maybe i can actually stamp something. and put ribbon on it! 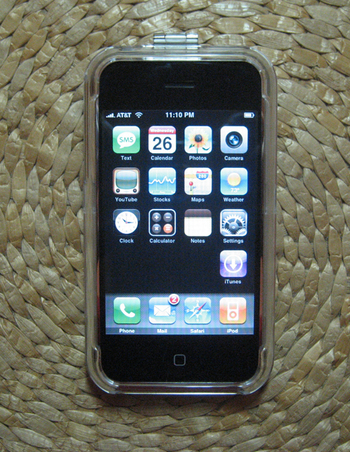 look what he gave me for christmas--an iphone!!! i have been dying to get my hands on this sweet little piece of technology since they came out and now i've been playing with my own since yesterday morning--it is sooo cool! we actually got a few very hi-tech toys this year. santa brought a wii and my dad gave the girls nintendo ds lites. even the board game santa left is hi-tech--life's twists & turns, lots of fun! the girls also got dolls from their wish lists and a couple of other things, too, but overall it was a very 21st century christmas! more nest'ing = a scalloped card!